The Spy Chronicles: RAW, ISI and the Illusion of Peace is one of the most unusual books published in the recent times, because it is the result of a collaboration between A.S. Dulat, former head of the Research and Analysis Wing, and Asad Durrani, former chief of Pakistan’s Inter Services Intelligence. In an interview, Dulat talks about his book and the various nuances in the India- Pakistan relationship. There is a whole chapter in the book on National Security Adviser Ajit Doval. And, as you say, his shadow looms large over many India-Pakistan dialogues. At one point you say that Pakistan should invite Doval. How do you make a statement like that when the perception is that Doval is quite a hardliner on Pakistan? 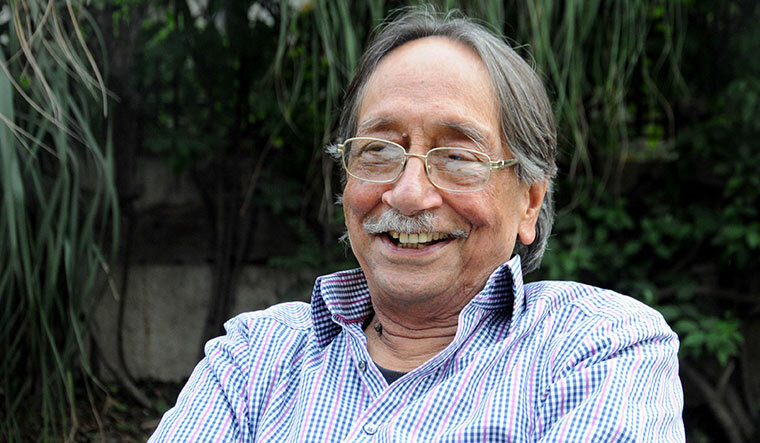 Regarded as one of India’s leading experts on Kashmir, A.S. Dulat served as the head of the Research and Analysis Wing from 1999 to 2000. He served in Kashmir as joint director of the Intelligence Bureau from 1988 to 1990. He was also an adviser to the prime minister on Kashmir affairs from 2001 to 2004. His earlier book, Kashmir: The Vajpayee Years, published in 2015, had created a storm. They wanted to invite him? They thought it was a good idea. But, that did not happen. Because Pakistan did not have the gumption to get Ajit across. Doval is almost like an element in the India-Pakistan equation when we hear you and Durrani talking. Well, he does call the shots. He is a big player. And, with Modiji, they are made for each other. So, his job has become so much more comfortable for him. Made for each other means they are very similar personalities. In every way. Modiji is his own man. Some people say he does not trust anybody, not even Amit Shah. Ajit is exactly the same. He will appear to be very friendly, will talk to everybody, meet everybody. But, he keeps his counsel very close. He does not let out anything, which is as a spook should be. So, as a professional he is the best. How is Doval perceived in Pakistan? The chapter on him is called the Doval doctrine. What is the Doval doctrine? They [Pakistan] say that the Doval doctrine is very hard line. Well, he is hard-lined. There is no doubt about it. I mean he is not a dove. He is tough. He is shouldering great responsibility as the NSA. And, in the kind of set up we have, he needs to be tough. A piece of advice you give him today. A piece of advice I have given him is please talk in Kashmir, talk to the Kashmiris. You are suggesting that there should be an opportunity, not just for the retired spooks to talk, but actually for active serving intelligence agencies to have an institutional dialogue. What is it going to achieve if the ISI and R&AW officials are talking? You see, this is something which has been advocated even by the hardliners. I do not think [even] Ajit Doval will be opposed to this. Incidentally, when this intelligence dialogue started, Ajit attended the first couple of rounds. But, what will it achieve? There is good reason to be cynical. But, the point is that every time the chiefs have met, which has mostly been a one-off thing, I do not think on either side anybody has complained that it was a waste of time.... The highest case—2003 ceasefire—was because of those meetings.... And, then that thing about saving Musharraf’s life. A lot of people may not know that. A tip of from the R&AW helped save the life of Parvez Musharraf. How did that happen? The R&AW obviously got information that Jaish-e-Mohammed was after Musharraf, and that they were planning to blow up his motorcade or whatever it was. So, this was passed on to the ISI. And, they took precautions and Asad admits that it probably or possibly saved the president’s life. Durrani says that it was the ISI’s failure to actually forecast or understand that the Kashmir issue would become this big. To me, it seems as if Pakistan did not plan for Kashmir to have become what it has. That is right. That clearly comes out in this book. That is a huge admission. What did you make of those comments by Durrani? I myself was surprised. Because, I thought Pakistan had planned this whole thing. But, if you recall, you know when 1989-90 happened, it was a handful of JKLF boys. And, after they had been to Pakistan, and been trained and whatever, they thought that azadi was round the corner, that Pakistan was going to come and support. But, Pakistan never came. There was no Pakistani support. He actually goes so far as to say the ISI failed to leverage Kashmir. Are you being a hopeless romantic when you suggest, ‘let’s roll out the red carpet for the Pakistan army chief’? You actually indicate that it is your assessment that if India were to invite him, he will come. Yeah, that is my assessment.... You see, there is a world of difference between Ajit Doval and [Pakistan’s NSA] Nasser Khan Janjua. They are not really at par. They are not equal in power. Yes. So, I think a proper dialogue would be between Pakistan’s army chief and our NSA. Pakistan will never accept that. Durrani actually makes two important revelations on Balochistan. One is that he believes that India is a small player in Balochistan. Two, he talks about similar to what you said about Kashmir; he actually talks about using money as inducement to manage Balochi separatists. So, talk a little bit about this important comment on Balochistan from Durrani. I think it was candid of him to say that we are a very small player. We had tried to tell them, we are not a player at all in Balochistan. We are not meddling in Balochistan.... I think from our point of view [it is an] admission from Pakistan, from the general, we are not meddling in Balochistan. Durrani says that Pakistan brought up Kulbhushan Jadhav case to counter Pathankot. He has again conceded that Pakistan messed up Kulbhushan Jadhav’s case, that it should have been kept in quiet, and NSAs should have spoken about it and sorted it out. It need not have been so public. General [Durrani] has admitted it. That is my take as well. Whether he is a spy or not, nobody knows. Have things changed in Kashmir? Today, if you talk to the separatists, they would say, ‘we are also losing the relevance from the street.’ There is an entire generation of, some would say, radicalised hard run young men who are not scared of dying. So who do we talk to? Yes. You are right. Kashmir has changed, and it is very sad what is happening there. I was up there about a fortnight ago. And, the most depressing part that I have sensed was fear. But, that the Kashmiri is not willing to talk is wrong. He is craving to talk. He is craving to find a way out of this whole mess that he is in. But, there are no takers. Who does he talk to. And, you are right about the youth. That again there is frustration. What would you urge Prime Minister Modi? See, I thought that the appointment of Dineshwar Sharma [as the Centre’s special representative for talks in Kashmir] was brilliant. Because he is the best guy available in Delhi for this job. He is straight, simple and humble. He understands Kashmir. He is empathetic. He has everything that is required. But, he is not doing what he should be doing. So in one line, what should Prime Minister Modi do next in Kashmir, or on India-Pakistan?